Kyiv National Economic University (Київський національний економічний університет ім. В. Гетьмана; Kyivskyi natsionalnyi ekonomichnyi universytet im. V. Hetmana). An institution of higher learning in Kyiv. 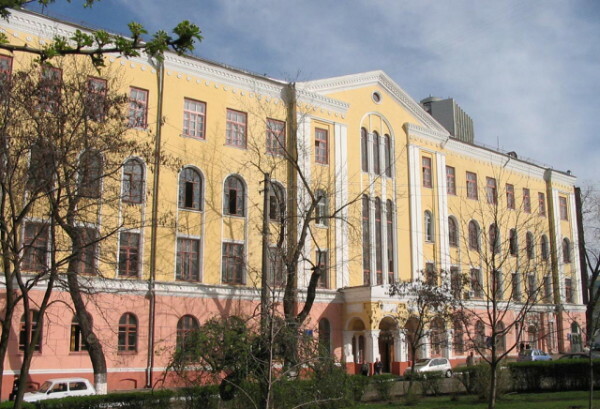 Formed in 1920 out of the Kyiv Commercial Institute (est 1908), it had four faculties: industry, law, economics, and communications, all with a three-year program. It’s original name was the Kyiv Institute of the National Economy. In 1925 its enrollment was 1,400 and its teaching staff numbered 125. Before the institute was Ukrainized in 1923, its language of instruction had been Russian. In 1930 the institute was reorganized into a number of higher educational institutions. One of them, the Kyiv Financial and Economic Institute, was transferred to Kharkiv in 1934 and merged with the Kharkiv Financial and Economic Institute. In 1944 it was returned to Kyiv, and in 1960 renamed the Kyiv Institute of the National Economy. It was the only higher educational institution in Ukraine to prepare specialists for Ukraine’s state planning agencies. In 1965, 78 percent of the students were Ukrainian, and 90 percent of the graduates obtained positions in Ukraine. However, only 18 (5 percent) of the 335 faculty members lectured in Ukrainian. Noted scientists such as Kostiantyn Vobly, Mykhailo Ptukha, and Dmytro Grave have worked at the institute. In 1992 the institute was reorganized into the Kyiv State Economic University in 1992. It was granted the national university status in 1997 and named in honor of Vadym Hetman in 2005. Today the university consists of seven faculties (international economics and management; marketing; human resources, sociology, and psychology; accounting and economics; economics of the agricultural sector; finances and economy; economics and management) and two institutes. Its enrollment is over 36,000 students.